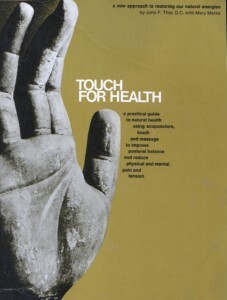 Touch for Health (TFH) is the most widely used system of kinesiology in the world. It is recognized and respected as the foundation training for other kinesiology systems as well as being a healing modality in its own right. Energy Medicine, Brain Gym, Energy Kinesiology, and Energy Psychology are all outgrowths of the Touch for Health body of knowledge. TFH Kinesiology can be easily learned by anyone, without any prior knowledge of muscles, physiology, meridians, etc. The practical, hands-on Touch for Health courses are facilitated by Certified Touch for Health Instructors active in over 60 countries worldwide. When you learn TFH, you learn muscle testing as a method of biofeedback to identify imbalances in the body’s energy system. Utilizing a holistic approach, you learn how to re-balance the body’s energies and activate the body’s intrinsic healing process so that the body can better heal itself. The TFH process can also assist individuals to better achieve their life goals and true potential through goal specific balancing. Looking for a Touch For Health Class?